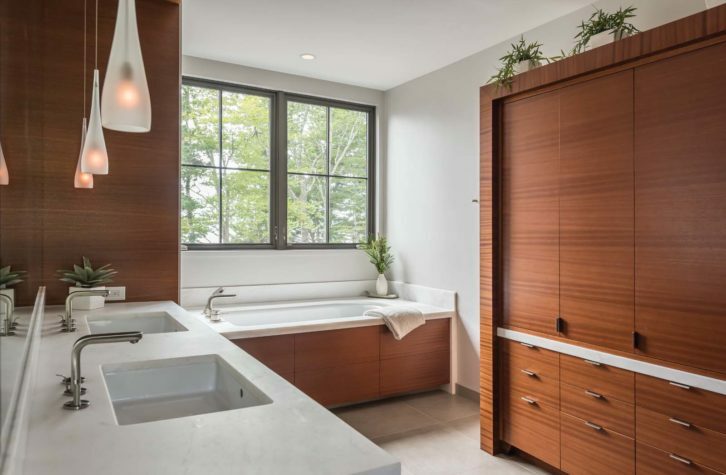 a serene retreat, featuring white marble countertops and built-in cabinetry. 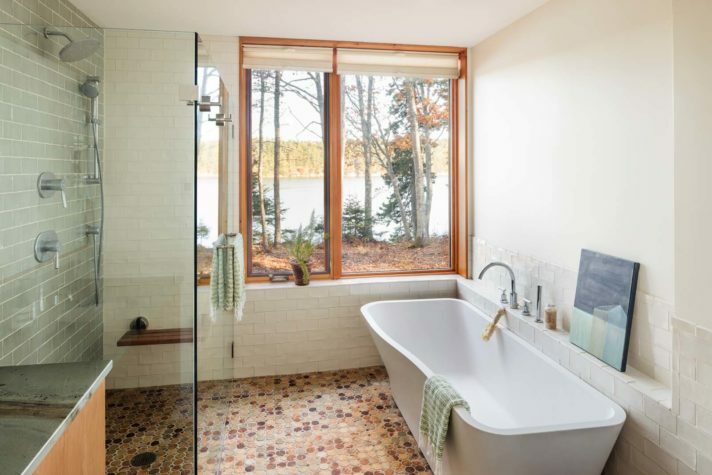 note of luxury to the shower walls. 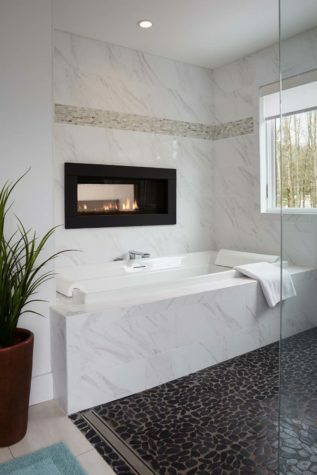 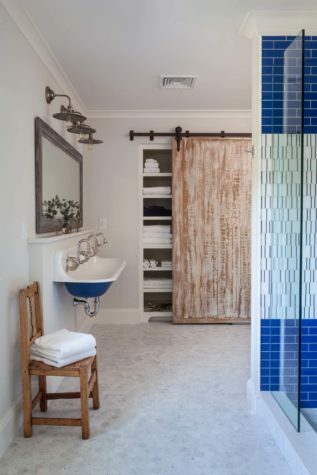 an open shower, and a double-sided gas fireplace shared with the bedroom. 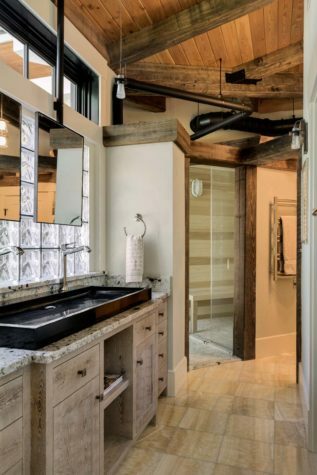 earth-toned tile make a subtle statement. 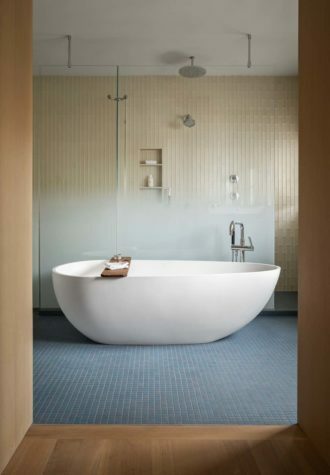 a solid-surface tub from Badeloft.